You must make reservations at least 5 minutes in advance of the time at Corso Ristorante. Metered street parking on Shattuck Ave. Unmetered 2 hour parking available on side streets - Delaware and Francisco. Downtown Berkeley Bart is a 5 minute walk. AC Transit bus service travels the length of Shattuck Ave.
Corso offers a special prix fixe menu on New Year's Eve and Valentine's Day, cost is around $65. Corso is the sister restaurant of Rivoli Restaurant, which Chef/Owner Wendy Brucker & GM/Owner Roscoe Skipper opened in 1994. Corso is a casual trattoria featuring the simple, rustic food of Florence, with a full bar & an all-Italian wine list. We serve dinner nightly. Fantastic food, paired with excellent wine. Our waiter was attentive and humorous. Just a great dining experience overall! We enjoyed our marinated mushrooms, and the calamari was not fried, but grilled. The maltagliata was also delicious. We paired these items with a bottle of the Vernaccia for an great light meal. We will go again. We had houseguests who don’t eat out a lot and they really enjoyed it as we always do! Great cocktails wonderful food -pastas, chicken, seafood and veggies! My swordfish was excellent! Very good! Service and food was outstanding! Pastas were creative! Unassuming and casual, Corso surprises your mouth more than your eyes. The flavors of the small plates are especially delightful: three cheese-filled, garlic risotto balls, lightly deep fried and set next to an aioli dip. (Foodie alert! Not to be missed) The descriptions on the menus often below the genius of the creations. Amazing creations make the simplest appetizers feel like picnic food at the Ritz. (e.g. simple mushrooms in a lemony oil.) Dessert lovers: make sure you get two of the ice cream sundaes because you will not want to share the cherries. This is one of our favorite restaurants in Berkeley. Sometimes the noise level is too high - I wouldn't say energetic but rather too loud to have a conversation. The food is always delicious. Excellent service and a delicious meal! Our favorite place to dine in Berkeley and it never disappoints. Very relaxed ambiance. The food was amazing, specially the chicken with lemon. All their pastas were super tasty. Loved the half glass wine tasting option. Definitely my new favorite place to eat. The chicken dish was amazing - highly recommend. I split a few sides with a colleague and we both also loved the spinach and polenta. Great food! Very flavorful, properly cooked and tastefully plated. It's innocuously placed on the block but definitely worth going back to. Lost their touch. Won't be going back. Used to be my favorite Italian restaurant. Unfortunately my (quite expensive) streak was not really medium rare. Not was it’s replacement. Seems that my idea of “mid-rare” isn’t the same as the chef’s. I’d order it rare next time. Food was amazing - had rockfish and pasta. Service was great. We loved it! Been here a few times and had a good experience. This time, it was a fast food experience. Just received our pre meal cocktail and our entrees arrived. Had ask the waitress to cancel our wine pairing. In and out in 35 minutes. Very disappointing! Pasta, wine and service were excellent; salad must have been pre-made &/or pre-dressed and consequently the Romaine was not as crisp as it should have been. Nice menu options--will definitely return and recommend to friends. The ambiance was great but since the menu changes so often it can be hit or miss. Although usually it’s very good! It was a totally enjoyable meal. Service was warm and friendly and the food was very delicious. Next time we are coming to the East Bay this restaurant will be our first choice. We were shown to a 4 top at the entrance way to the kitchen. A very trafficked and cramped area and one that I had sat at before. I asked to please move to another empty table that was close by, but the male host said he couldn’t do it. Then a female worker came over and since we were all standing, still, I told her the problem and my previous experience sitting there. She was very receptive, asked us to wait a moment, and lo and behold we were seated at the other table across the aisle. We were all very appreciative of the way she handled the situation. The irony was that the original table remained empty throughout our meal! The entire meal could have been disastrous, but instead we celebrated a family birthday in good spirits and with an exceptional meal that all four of us enjoyed! With future reservations I will be sure to stipulate that we will not be seated at that tAble! Amazing food & outstanding service. Corso never disappoints. Travel to the Berkeley area on business often and have eaten at many great restaurants in Berkeley. First time at Corso and it was a disappointment. Service was very good, attentive. Salads had good flavor but were overdressed. The Saltimbocca was excellent. Fettuccini with pork sugo was not very good. Flavor profile was surprisingly spicy. Homemade pasta was average. Our favorite neighborhood restaurant. It never disappoints. Corso has fallen on hard times. What used to be amazing pasta dishes are now average. The stuffed meat dish we had was disappointing. We have come here often in the past but will not in the future. Corso is always a great choice before a Berkeley Rep play. We enjoy sittiing at the bar, enjoying the variety of drinks and the great menu. The other night I had the rock cod that was delicious. My wife had the lamb which she really enjoyed. This was our first time here. 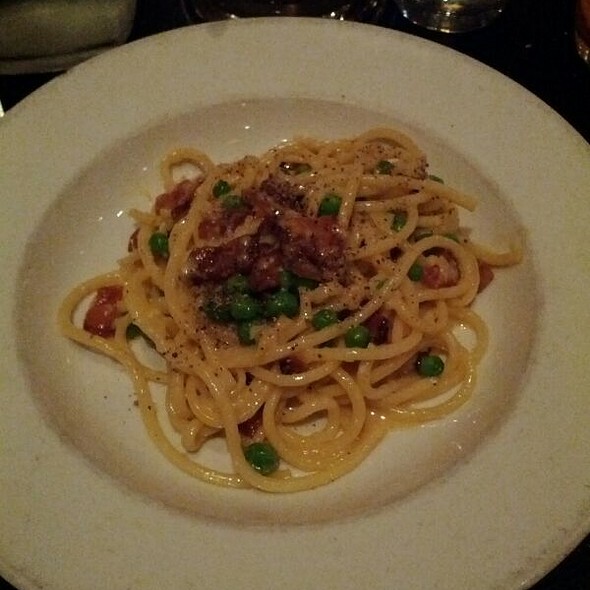 The food is very good and the service was excellent. We come here frequently, and one of the main reasons is the staff. They are so welcoming and helpful. The food is exceptional, but the atmosphere created by the waitstaff & bartender helps one really enjoy the food. Great Italian place, good service. Polenta and Branzino were delish. Our server was excellent, very accommodating and answered questions. Everything was delicious - the Lattuga salad was fresh with a wonderful freshness, the stuffed pasta shells were yummy - the fresh ricotta filling was very flavorful. We shared the Sea Bass special which was the whole fish then boned at the table - cooked over the grill, it was a real treat - just a squeeze of lemon - the fish was moist and very fresh. Instead of dessert, we opted for the Amari flight but ended with two Amari's and one Grappa just to mix things up. Our server picked the options and we were very happy with the choices - definitely a fun was to end a great meal. Can't wait to go back. I love Corso, the people who work there, the bartender, the maitre d, Brian Cohen, and definitely the delicious food, good every time. Last time it was wonderful until 7:00 when the restaurant was full and we had to scream and i got a headache. Not fun. Increíble! Enamorados de la pasta! La opción de carafe de vino fue una idea perfecta, el host y mesera fueron tan tiernos. Gracias. Corso is one of my go-tos, but last Saturday night the food was far below its usual standard: Mushroom custard tasteless. Putannesca oversalted. Artichokes overfried. A stuffed pasta dish under seasoned. The pasta itself did not taste homemade. I hope the chefs were on vacation. Everything was great! Get the porterhouse.